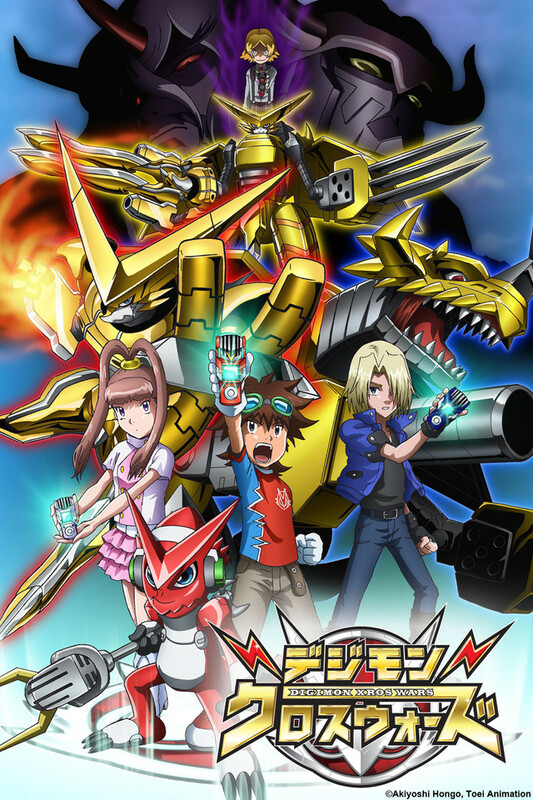 Digimon Xros Wars - The Young Hunters Who Leapt Through Time is the 7th series of Digimon, sequel to Digimon Xros Wars where a young boy, Taiki Kudo and his friends are brought into the Digital World where they combat evil to save the Digital World from being conquered. Tagiru hears the voice of someone who seems to be injured and follows it through a distorted space in the air, finding himself in a world called "DigiQuartz," where time progresses differently from that of the real world. In DigiQuartz, Tagiru watches as a team of two boys and a girl hunt a monster they call a Digimon. This is the very trio that had appeared before Taiki with the warning to steer clear - Ryouma, Ren, and Airu. Tagiru then meets Gumdramon, the owner of the voice that had spoken to him in the arcade, and saves him from being hunted by Ryouma and his companions. Tagiru instantly befriends Gumdramon and they decide to join the Digimon Hunt together. Then Tagiru visits a watchmaker's shop on the outskirts of town, where the mysterious old Watchmaker, rumored among many Digimon Hunters, gives him a Xros Loader. Returning to DigiQuartz, Tagiru then encounters MetalTyrannomon. He immediately attempts a Digimon Hunt, but he and Gumdramon are soon backed into a tight spot by MetalTyrannomon's counterattack. Just then the Xros Loader begins to glow, and Gumdramon Digivolves into Arresterdramon! With his greatly heightened power, he defeats MetalTyrannomon, ending Tagiru's first Digimon Hunt in success. Thus the Hunter boys Taiki, Tagiru, and Yuu begin a brand new adventure as they go on to Hunt the Digimon that appear in the human world! Taiki Kudo and his friends are brought into the Digital World where they combat evil to save the Digital World from being conquered.